As a part of the InnovationLearningNetwork.Org InPerson Meeting in Los Angles this week, attendees split into a dozen groups and were set loose to hunt for insight and inspiration. 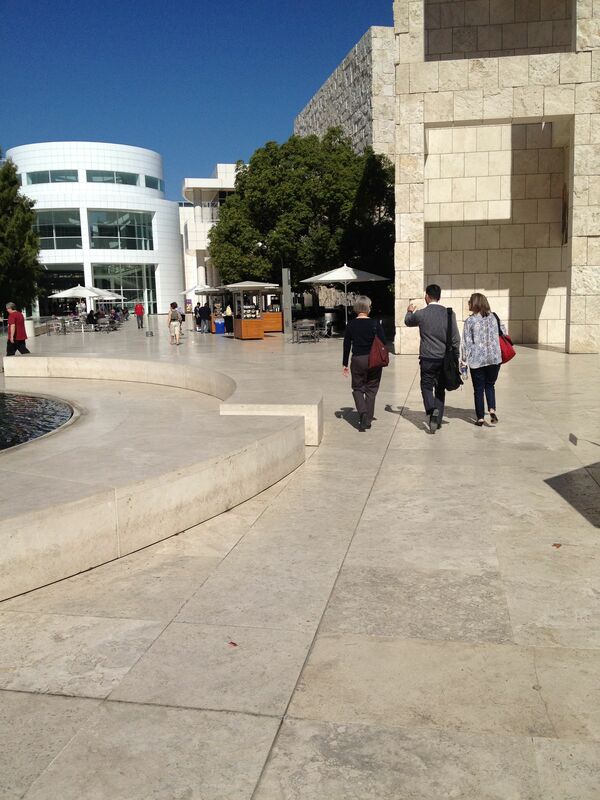 My team and I found it at the Getty Museum exploring the evolving museum industry and its future. It was remarkable how similar its challenges are to healthcare…and how much we can learn from their experience. Nik Honeysett, its Administrator gave us the 101. First of all, the industry changed “overnight”. For centuries, highly skilled curators would collect and interpret. And the public had only one option; go to the museum to see it. Then with little warning, the public got a voice via the internet. And the paradigm began a monumental shift: the public wanted new ways to see the collections, they wanted to talk about it, and they wanted to help influence it. The museums were not prepared for this voice, nor have most learned yet how to harness it fully; but they are learning. Nik shared a story of a Canadian museum of fine art that attempted to crowdsource an exhibit. The public submitted and voted for a hockey exhibition – not exactly what the museum had in mind; or even in the genre of fine art. Although this was shared as crowdsourcing gone wrong, I can easily image a twist where the museum could have commissioned a series of oil paintings of hockey scenes; dragging in a whole new audience into their world. Next technology seeped into the museums. Most often it was a random employee who just happened to know how to flip on a PC, they were the first museum technologists. Interestingly, museums were the first to bring touchscreens and hyperlinks to the public in 80’s. Not so bad for being homegrown. Recently there has been a shift to bring in trained technologist, but at the expense of “sullying” the inner museum world with those who did not rise through the ranks. Finally, new and interesting business models began to emerge. As most museums are not-for-profit, and have similar missions, rather than competing, they focused on cooperating. Deals like two venues for the price of one began to emerge. “Retail museums” began to appear as popup stores in downtown areas . And unique combinations like museum and DJs began providing new experiences for new crowds. And so healthcare is not as unique as it perceives, and has much it can learn by simply going out into the world. I am certain that the other eleven groups found an equal amount of insight and knowledge in their LA exploration. Meanwhile, go to the museum; the inspiration is curated for you.